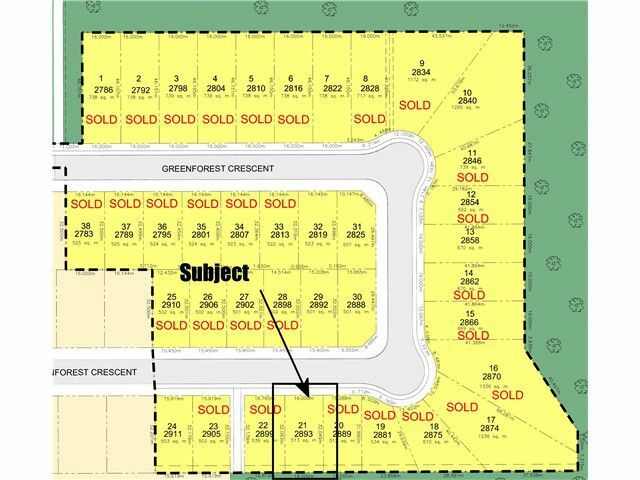 Only 9 lots are left in this new fully serviced subdivision. Greenbelt lot backing onto school and green space. Lot is flat and will accommodate any plan. Build to suit custom and spec home plan options are available with JTM Home Solutions or this lot can be purchased direct from the developer for you to do as you please.